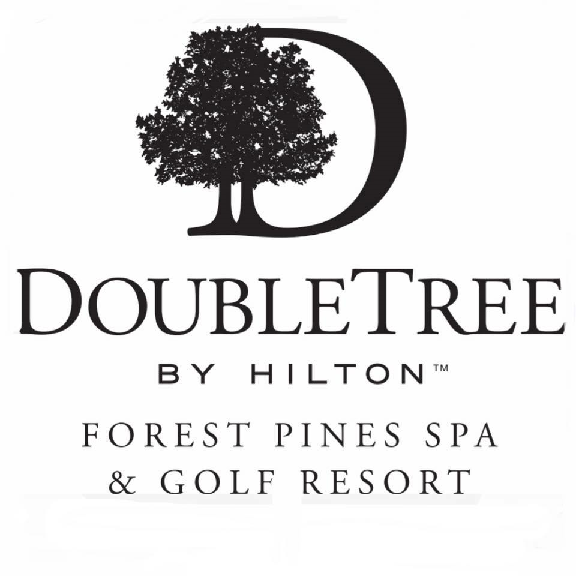 Nestled in 190 acres of beautiful Lincolnshire woodland, the DoubleTree by Hilton Forest Pines Spa & Golf Resort is situated just two minutes from Junction 4 of the M180 with excellent motorway links to local airports and major cities in the North and Midlands. The hotel offers stylish accommodation with great leisure facilities, excellent conference spaces and a 27-hole championship golf course. Dine in the newly refurbished Grill restaurant, offering a la carte dining and cuisine carefully crafted for with a Mediterranean flare. Unwind with a beer or cocktail on the terrace at the Lounge Bar, also offering light bites, afternoon tea and al fresco dining. Pines Bar offers golf course views, drinks and light snacks throughout the day. Escape to the luxurious spa with six treatment rooms, nail bar, pool, sauna, steam room and whirlpool. The Forest Pines health club includes a state-of-the-art fully equipped gym and two new group exercise studios. Children will love our outdoor play area and game room. With a beautiful countryside backdrop, the hotel is an ideal location for conferences and weddings, offering 11 meeting rooms for up to 400 people.